We are looking for an enthusiastic and experienced chalet couple (PROFESSIONAL chef ONLY and host) to run one of our 5 La Plagne chalets. We offer a highly competitive salary, holiday pay, 2 days off a week (1 full day and 2 half days), plus an end-of-season bonus, accommodation & ski pack plus other benefits. The couple will either be married or have been together for at least two years. The chef must be passionate about food and beautiful presentation, professionally trained with fine dining restaurant experience, and happy to design his or her own menu within a budget. 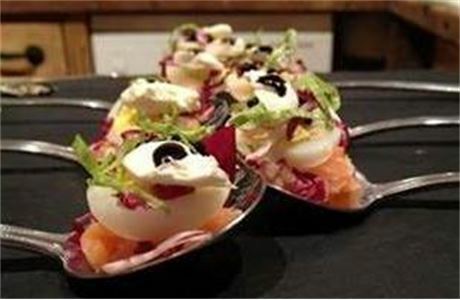 With a maximum of 12 to cook for, the chef will have time to add some creative garnishes and plate up beautifully. Although we offer a high level of dining, we don’t ask our chefs to spend all day in the kitchen, preparing 7-course tasting menus – and therefore, this position is highly sought-after as you will get plenty of time to ski. 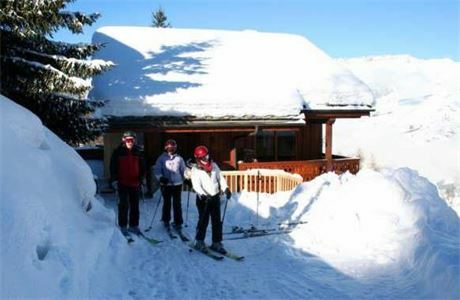 The chalet host will be professional, presentable and friendly, making our guests feel welcome and happy in the chalet that will become their home for the week. You will be passionate about cleaning to an extremely high standard, have an outgoing personality, and be able to interact with guests of all ages and nationalities. You will also be “front of house” at meals, ensuring that the quality of the food delivered by the chef is matched by your levels of service. Previous experience in catering and hospitality is a real bonus, but not a pre-requisite for an applicant with the right level of drive, a positive outlook to work, and an ability to get on with people. 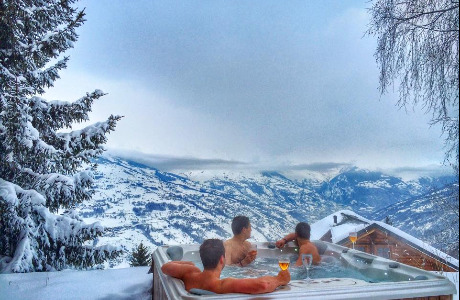 A full package will be available for the right couple, including staff accommodation; competitive weekly wage, 2 days off a week, holiday pay, end-of-season bonus, all meals, travel to and from the UK/Europe and a full Paradiski season pass, insurance and ski hire. Here at Alpine365, we’re only a small, family run business, so you would be a core part of our small team, and as such, you will have an opportunity to make a real difference! We are actively recruiting now, so please send over your CV as soon as possible! 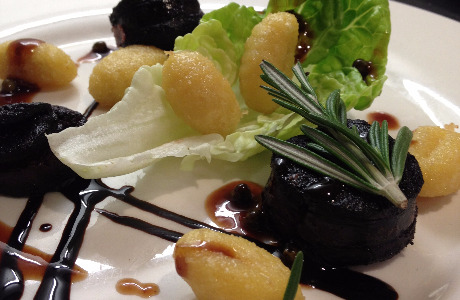 The chef must be professionally trained with proven experience in restaurants and have some fine dining experience. You will almost certainly be working in a cheffing role now, or at least in the very recent past. The hostess would ideally have hospitality experience, either front of house or in housekeeping, but more importantly you will have an outgoing personality, be able to interact with guests of all ages and nationalities, be friendly, happy and smiling. Both chef and host will have proven levels of conscientiousness, and should be able to clearly demonstrate an ability to work on their own initiative. You will both need a passport, UK National Insurance Number, and a UK bank account. 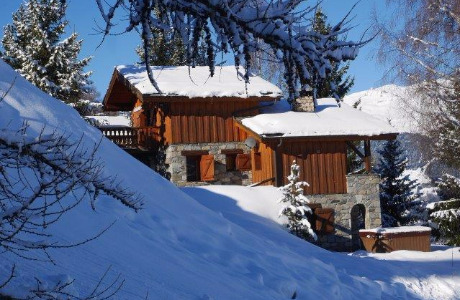 Now in our 11th season, Alpine365, owned and run by Duncan & Toorna Salmon, is a friendly, family-run independent chalet company offering memorable skiing holidays in the Paradiski with a real emphasis on genuinely personal and flexible customer service, along with beautifully presented, gourmet dining. 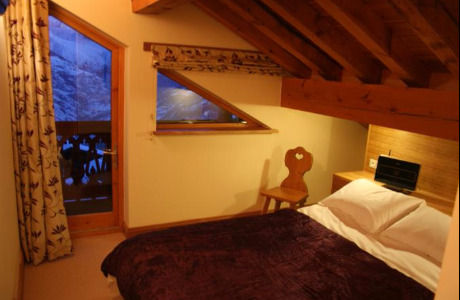 We have 5 lovely ski-in/ski-out chalets (either on the piste, or right by a ski lift) with a maximum of 6 ensuite rooms, an outdoor hot tub and fantastic views. Each of our chalets is unique and has a character all of its own – but all are designed to make our guests feel as relaxed as possible, and our staff are a key part of this. 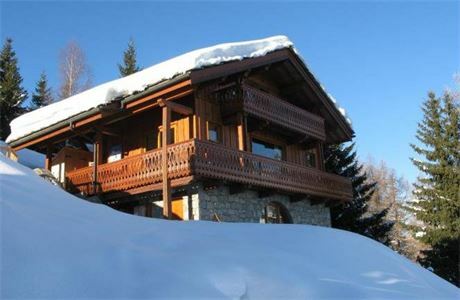 We're based in Montchavin and Les Coches in La Plagne - it's the best place to stay if you love skiing/boarding, as you are right in the middle of the Paradiski, so you can ski both Les Arcs and La Plagne easily. Both of these resorts are very friendly with bars and restaurants, so you will find it really easy to make friends with other seasonnaires but also the locals. We have a very high number of returning guests, who adore our food & service; we were nominated as UK Best Chalet Company in the Daily Telegraph 2014 World Snow Awards; we are the only company in our resort to only employ professional chefs; our chalets are no 1 and 2 on tripadvisor for Les Coches and we receive consistently excellent 5* tripadvisor reviews and feedback. We understand that having great staff is one of the most important factors of a great skiing holiday, so we take recruitment very seriously. We want people that join our friendly team to feel proud of the company they work for, get the best training, feel appreciated and ultimately have a great time in the Alps – and over the years, we have been lucky to have a high number of returning staff. If you have a can-do attitude and an ability to work as hard as you play, then we’d love to talk to you. Here at Alpine365, we’re only a small business, so you would be a core part of our small team, and unlike in much larger firms you will have an opportunity to make a real difference!